Back in 2012, the Británicas shape was used for a Regional Edition Bolivar, made for the United Kingdom. 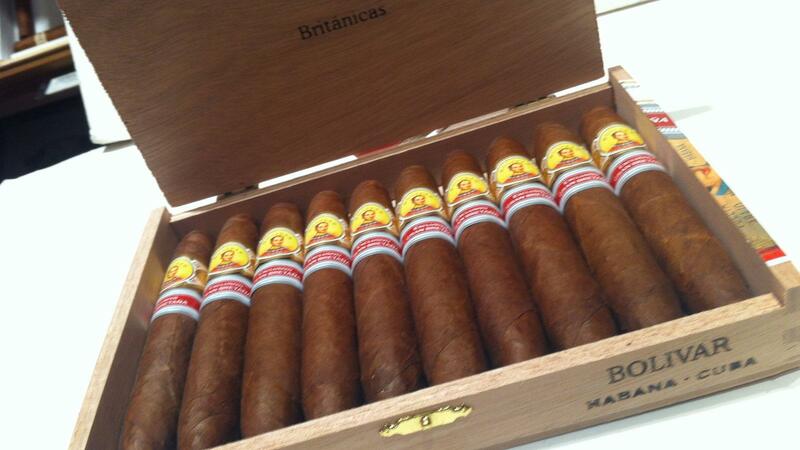 The Británicas, a rare Cuban perfecto, is coming back, reborn as a Regional Edition smoke for Great Britain. The cigar, called La Gloria Cubana Británicas Extra, will be unveiled at a party this week during Cuba’s Habanos Festival, although the formal release of the cigars themselves will happen later this year. The cigars are tapered at the head and foot, and the heads are rounded rather than pointed. You won’t find a cigar in this shape as part of the standard Cuban portfolio; it last appeared as a 2016 Regional Edition made for Pacific Cigar (the Rafael Gonzalez 88). And in 2012, it was the format for the Bolivar Británicas, made for the United Kingdom. The smokes measure 5 3/8 inches long by 48 ring gauge, size known as a Británicas Extra in Cuban cigar factories. Hunters & Frankau, the importers behind this most recent regional, sought out a small cigar factory in Baez, Cuba, in the middle of the Remedios region in the central part of the country. (Readers of Cigar Aficionado may know this town; it’s where Pepin Garcia once rolled cigars.) There in Baez, in a factory founded in 1961, is where the La Gloria Cubana Britanicas Extra is rolled. Six rollers made the 60,000 cigars for this Regional Edition. This particular Regional is marked 2017, for Hunters originally hoped for it to be on the market last year. A delay in production, something common in the cigar industry, pushed its release to 2018. While the cigars will be previewed next week to a small group in Havana, the actual release date has yet to be established. Pricing information is also not yet available. La Gloria Cubana is an old brand that dates back to 1885. While in Cuba it is relatively obscure, the non-Cuban La Gloria is a major force in the American market.